1. Preheat oven to 190°/Gas Mark 5. 2. Cream together the butter, brown sugar and white sugar in a bowl. 3. Add eggs and vanilla and beat with a wooden spoon until with smooth(ish). 4. Add flour (sieved), baking powder and salt, then beat again until all of the ingredients are combined. 5. 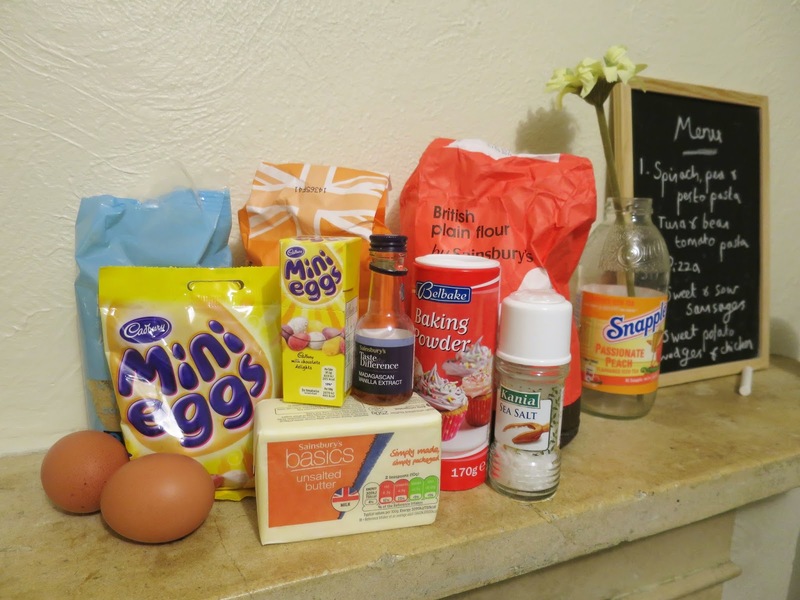 Seal the Mini Eggs into a plastic bag and crush them into bits and pieces using a rolling pin. 6. 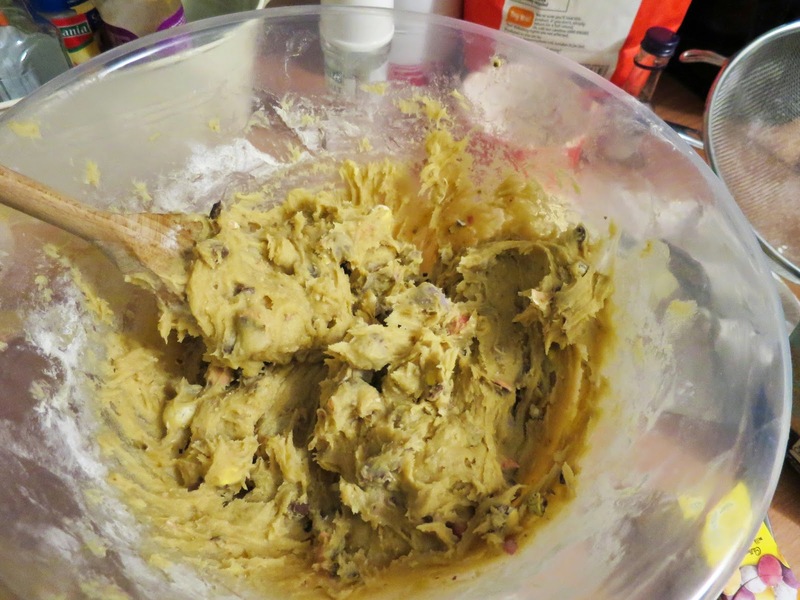 Put aside some of the bigger crushed egg pieces to use later and mix the rest of them into the cookie batter. 7. 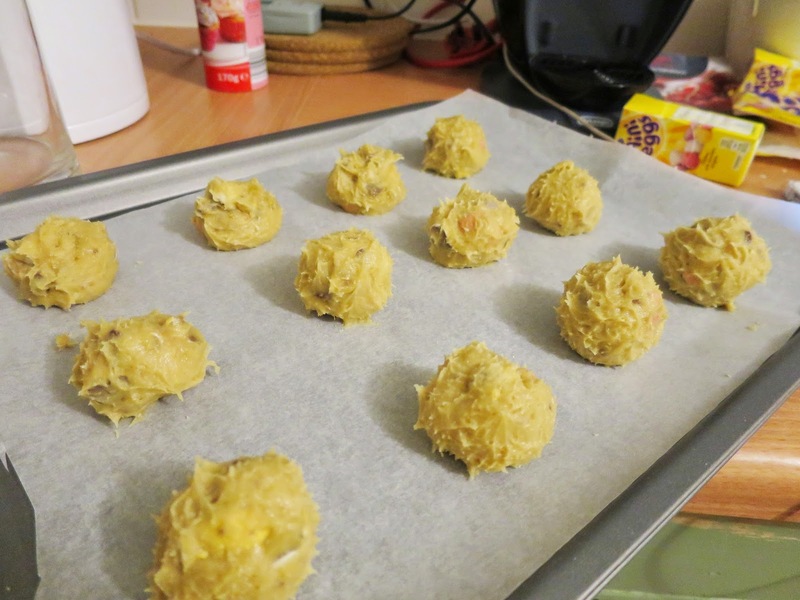 Using a teaspoon, roll into rough one inch balls and place onto a baking tray topped with ungreased baking paper. They seriously spread out so I'd recommend 9 balls max per tray and lots of space between. 8. Bake for 9-10 minutes. 10. Using a spatula, place the cookies on another sheet of baking paper to set and cool. And enjoy! 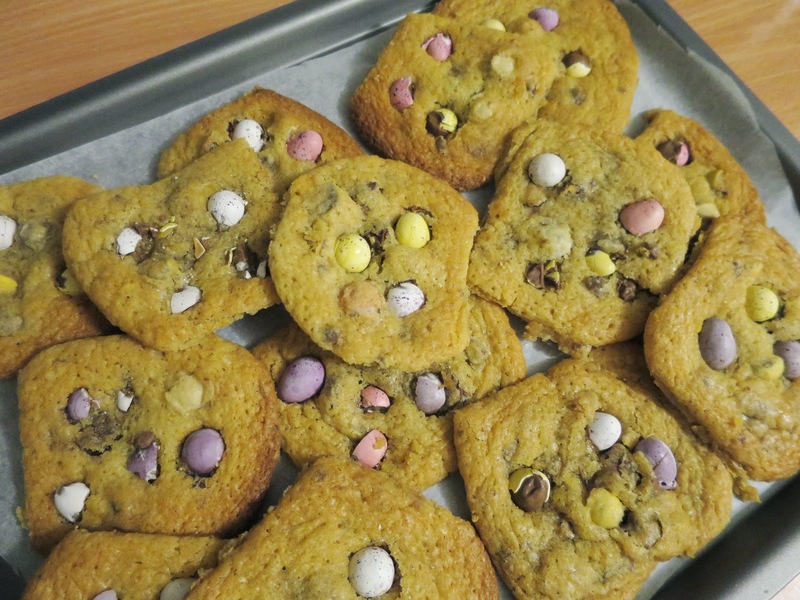 What have you been baking this Easter? 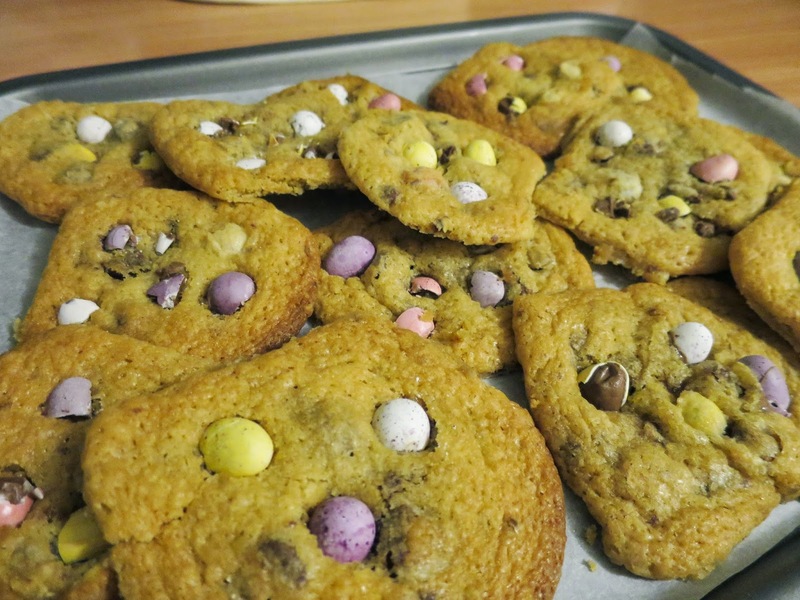 These look so good, fab idea, anything with mini eggs in totally wins me over ;). I made some mini egg cupcakes yesterday, currently eating one now haha. 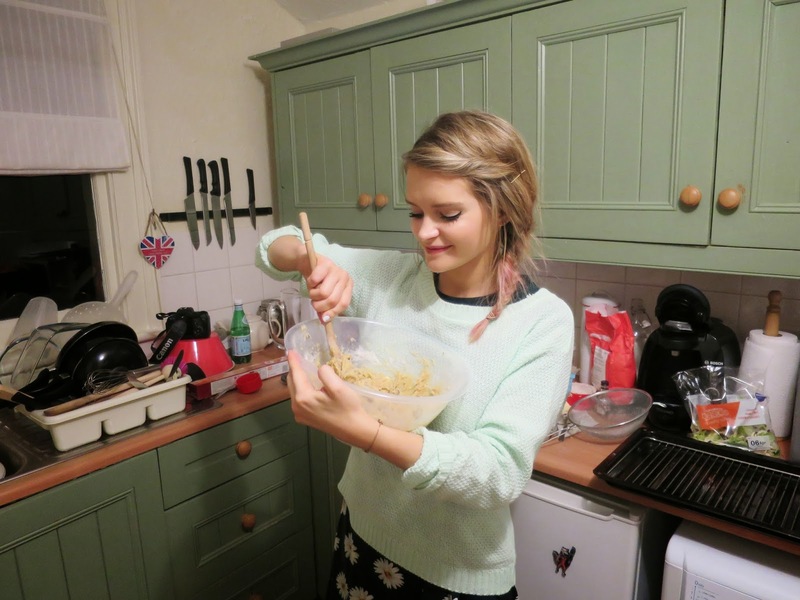 Haha I know this post is about cookies, but may I just say your hair is amazing here! Random comment- how do you get your knives to stay like that in the air? Is it magnetic? I need it!